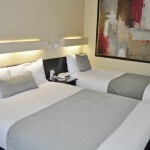 The In Town Motor Inn offers clean, comfortable and affordable Taree accommodation with a priority on friendly service and is conveniently located within walking distance to the city centre, where you will find a range of retail outlets, cafes and restaurants. The In Town Motor Inn is the popular choice for Taree accommodation because it is such a comfortable and consistently friendly motel offering far better than average value for money. 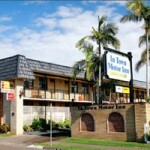 Conveniently located on the main Taree thoroughfare adjacent to the main central business district, “In Town Motor Inn” is also close to restaurants, The Aquatic Club, sports and shopping facilities. For reservations please call 1800 173 622. Our room had been recently renovated and had everything we needed. The location was spot on. We enjoyed walking across the road for a drink at the aquatic club and a stroll along the river. The hosts where happy and friendly and the room was quite a reasonable size and immaculately clean with all the inclusions that you would expect from somewhere costing quite a bit more. One of the best motels we have ever stayed in. Clean, tidy rooms. 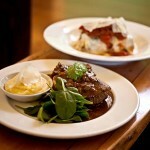 Breakfasts excellent and the rooms are cleaned on time and thoroughly. 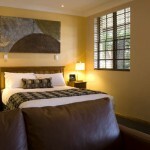 Your comfortable Taree motel accommodation is only an email or a call away.